Photo credit: Alex Potemkin/E+/Getty Images. 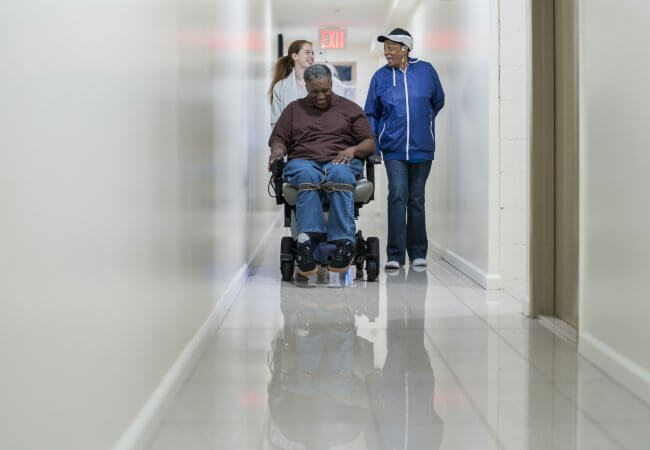 AARP puts a spotlight on the Caregiver Advise, Record, Enable (CARE) Act with The CARE Act Implementation: Progress and Promise, a paper that looks at recent improvements to support family caregivers who are caring for people on the mend at home. The report, written by Susan C. Reinhard, senior vice president and director of AARP’s Public Policy Institute; Heather M. Young, of the Betty Irene Moore School of Nursing, UC Davis; Elaine Ryan, of AARP State Advocacy & Strategy Integration; and Rita B. Choula, of AARP’s Public Policy Institute, explains why the CARE Act quickly became law in 40 states and territories. In 2012, as the piece explains, a national study became the powerful Home Alone: Family Caregivers Providing Complex Chronic Care report. From that was born the Home Alone Alliance (SM), a nationwide partnership of public, private, and nonprofit organizations. Nurses see it more than others: People are discharged from hospitals—often very soon after admission—while still needing medical care to heal at home. This is why family caregivers are increasingly recognized as a valuable, even essential, part of today’s health care system. As “Progress and Promise” puts it, “The CARE Act addresses fundamental expectations to support better communication between health care professionals and family caregivers as they prepare for complex care at home.” Among guidelines proposed are basics such as asking family and patient to identify who will be the primary caregiver—which is often different from next of kin. “Progress and Promise” includes links to videos and primers for caregivers. How-to videos in English and Spanish are on AARP’s website, and the American Journal of Nursing has published associated articles and videos for nurses who want to see patients thrive when they are under the care of family or friends at home.